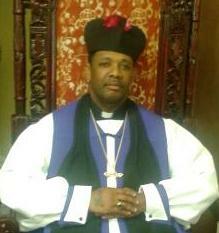 On Friday, June 28, 2013, our own Pastor R. Jones Moore, Sr., was consecrated as BISHOP during the National Assembly of Christian Churches and Ministry Fellowship (NACCMF) Holy Convocation Services in Little Rock, Arkansas. Bishop Moore was the Noon-Day Speaker on Friday, June 28. As Bishop, he will oversee over 200 churches in Region 1, which encompasses seven states – Louisiana, New Mexico, Texas, Arkansas, Tennessee, Mississippi and Oklahoma. CONGRATULATIONS BISHOP RICKEY L. J. MOORE, SR.!